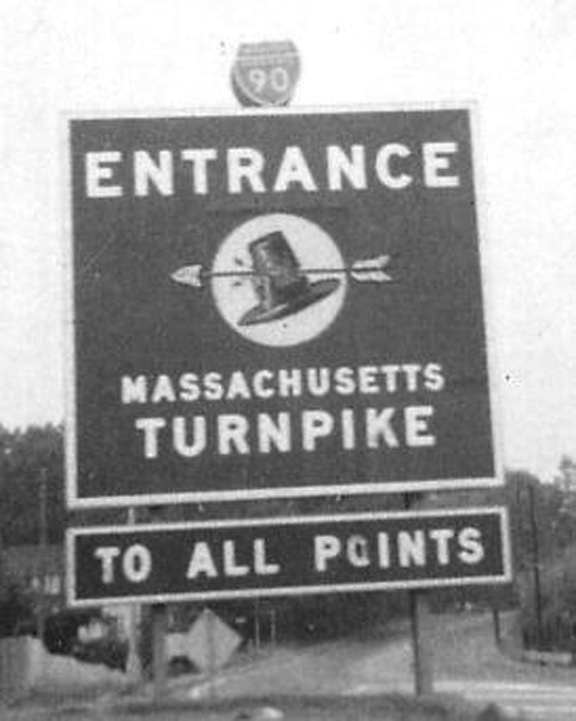 In case you missed it, the state wants to take down the tollbooths on the Massachusetts Turnpike [$]. Sounds good, right? Should’ve been done in 1988 when the original bonds were paid off, but then bonds were reissued to help fund the “Big Dig” in Boston and other various projects. The newer bonds will be paid off in 2017, so is that why the toll booths will be going away? The toll booths would be eliminated and replaced with a completely electronic system. They envision that most drivers would pay tolls using the EZ-Pass transponder — but what about those who usually pay cash? Their license plate number would be captured electronically and they’d be sent a bill for the tolls, at a higher rate than those charged to the EZ-Pass users. Not the driver, mind you, but rather whoever the car is registered to. It remains to be seen how they’ll handle things like rental cars, taxis, etc. Governor Patrick recently said “By current law those tolls come down in 2017, and the people who pay them have been assured they will come down.” But despite those fine words, with this new electronic toll scheme, it looks like the state plans to keep charging folks to drive the Pike, despite the bonds being retired in a few years. Despite the Turnpike Authority having been absorbed by MassHighway (now MassDOT) and maintained much like other interstate highways. There will be a hearing tomorrow night at city hall at 6:00 p.m. regarding this plan to replace tollbooths with electronic payment collection. If you have concerns and/or questions about this plan, you should try to attend this hearing, as there are only two scheduled (the other one’s in Springfield). 1. Why are we making plans to continue collecting tolls after 2017? 2. Why, when these bonds are being retired, is the state considering reinstituting tolls at exits 1 through 6 in western Massachusetts? 3. How is it fair to charge the owner of a vehicle inflated tolls if he/she wasn’t even driving the vehicle? 4. With only a few years of bond debt left, does it make sense to lay off hundreds of toll collectors in the midst of a recession? Why not keep them in place until the bonds are paid off? Part of what the Pike collects already pays for these toll collectors anyway. 5. If the Pike is now part of MassDOT, shouldn’t its future upkeep be budgeted and paid for under the MassDOT instead of through tolls? Regardless of how you feel about the concept of electronic toll collection, there are a lot of unanswered questions out there. Tomorrow may be your only chance to ask them. Show up at city hall tomorrow at 6:00 and make yourself heard. If you have larger concerns about keeping/expanding tolls after the bonds are paid 2017, you may find the organizers of tomorrow’s meeting dodging your questions. If so, contact your state legislator and make him/her aware of your feelings & concerns. via worcestermass.org; I cannot attend the meeting next Wednesday, but if someone else can & would like me to post notes, I welcome that! Also, please fill out the online survey about public art. The City of Worcester Public Art Working Group (PAWG) is made up of local citizens and art lovers who are commited to supporting public art initiatives in the City of Worcester. These community members want to see more public art created in the city. PAWG will host a Public Art Town Meeting on Wednesday, August 21st from 5:30-7:30 p.m. at the Worcester Center for Crafts, 25 Sagamore Road, Worcester. Learn about the public art that currently exists and plans to bring more art to the city. Attendance is free and open to the public. Come share your ideas about how we can bring more public art to Worcester! Additionally, PAWG is seeking the public’s input via an online survey. Please take a few moments to share your thoughts on existing public art and ideas for bringing more public art to Worcester. Patsy Santa Maria, Sr. was on the Jordan Levy Show in March 2012 to discuss the arrest of four of his employees, including his son, for two separate beatings at his service station. When we last left the Krocks, KJ Baaron’s was scheduled to move to West Boylston Street, and the Central Building was slated for demolition in early 2014. We’re all a few months older now, and I see that KJ Baaron’s has indeed moved out of its Washington Square location, freeing up a prime parcel for the city’s plans to create the world’s thinnest hotel. Meanwhile, many people — including Dan, whose post I recommend you read in full — are concerned about the possible demolition of the Central Building (332 Main Street). In a perfect world, a buyer would come to the table, the Krocks would willingly sell, and the building would be renovated and occupied. Certainly, the Krocks were willing to sell some of their other buildings in the past — among them the Slater Building (390 Main Street) and 365 Main Street (the former WCIS building) — but they have also had a long-term interest in demolishing the Central Building and have previously torn down Flagg’s Building (where the notorious “Park Here” trucks are located). Since we don’t live in a perfect world, it’s unclear what will happen to the building. Preservation Worcester has a FB page for the Central Building; if you’re interested in saving the building, I recommend liking (or otherwise following) that page. In “other downtown buildings in turmoil” news, there was both a T&G article (“City considers using eminent domain to seize Midtown Mall“, by Shaun Sutner) and a Dianne Williamson column (“Midtown disaster needs to come down“) in Sunday’s paper. It should come as no surprise that the city has had the Midtown Mall in its sights. The Theater District Master Plan said the mall was “not responsive to downtown existing office clientele”, which seems odd for a building that has many tenants and — unlike the buildings adjacent to it — rarely has a vacancy in its ground-floor retail units. It’s no secret that I’m friends with both Brad Wyatt and Kevin Ksen, mentioned in the article, and, like them, I’m skeptical of taking someone’s private property by eminent domain simply because the property owner refuses to play whatever game of ball the city has on offer. Frankly, if I owned the Midtown Mall and it was valued at $3 million, what would the incentive be in improving the aesthetics? I’d have to pass on the costs of improvements to my tenants — who rely on the cheap rents Midtown Mall offers — and I’d surely see my property value jack up even higher. In the past week, we have seen a TIF offered to a company that is going to tear down the historic Odd Fellows building [$]. That’s right — we can incentivize a demolition of an iconic Worcester building, but we can’t find a way to incentivize renovation of a key downtown building. The Central Building is months away from being demolished, but the city fathers are talking about taking the Midtown Mall by eminent domain. That’s right — it’s ok if another building on Main Street becomes a parking lot, as long as the WRA can take a building owned by the uncooperative Mr. Marcus. The city pushed out the Paris Cinema, and we’ve been stuck with a vacant building that has become a beige cube for years. We knocked down the mall and opened up Front Street so that we could have mixed use development. Unfortunately, the city’s definition of “mixed-use development” consists of various companies’ fiefdoms with little ground-floor interest for pedestrians, vacant lots, and two intersections that vary between frustrating (Washington Square) and downright dangerous (Front Street adjacent to the Common). Now the city has revitalized the WRA so that it can right past wrongs — or, at least, create more current wrongs so that we forget all the past ones. And keep various hacks gainfully employed. A city full of white elephants (the courthouse, the Aud, etc.) and barren wastelands (CitySquare), whose design aesthetic consists of “which shade of beige would be appropriate for that hideous building”, has no right telling a private property owner that his building should be taken by eminent domain. This city has a horrendous track record in taking private property and “improving” it. In the case of the Midtown Mall, it wouldn’t even be that ambitious — to take a small business incubator by eminent domain, and invest millions of dollars to turn it into … a small business incubator, albeit one that appeals to whichever demographic we’re seeking.